Corrosion is never a good thing. Once it starts really eating away at a metal, the negative effects increase exponentially as the metal weakens, eventually giving way altogether. It’s very easy to spot with its charac­te­ristic orange colour - but what if the damage is happening where you can't see it? This is exactly what can happen to the oil and gas pipelines and it is so common that it is known throughout the industry as CUI or Corrosion Under Insulation. 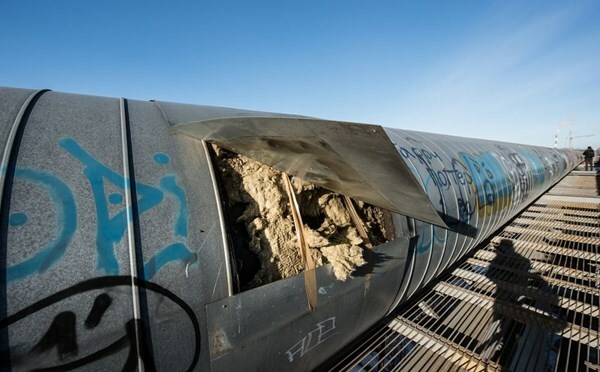 If the problem can't be seen, then it may not be noticed until the situation is critical; the entire pipeline could be compromised and could even give way dangerously in a dramatic release of pressure and/or contents. And that could mean big problems for the operators. 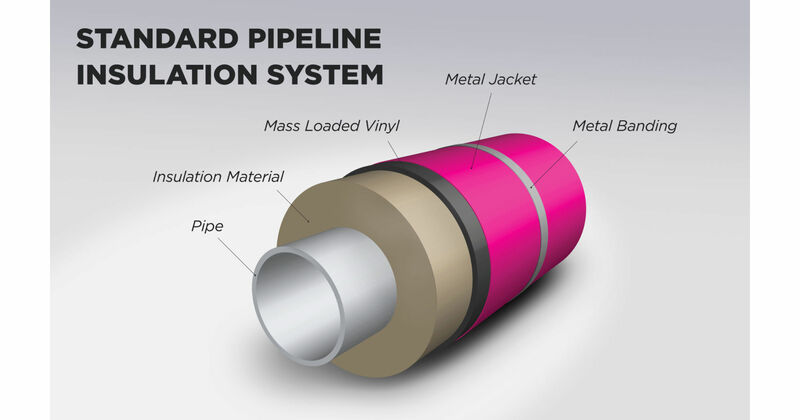 The solution is jacketing; literally wrapping the pipeline in metal so securely and seamlessly that moisture cannot get through. No moisture of course equals no corrosion. Lots of sources must be considered, from simple rainwater to more insipid and less-noticeable condensation. There are many places that are vulnerable to moisture ingress, including fault overlap sealant and equipment covers, ruptured or otherwise compromised jacketing and the countless screw and rivet holes throughout. Several jacketing solutions are available to suit different environmental conditions. Aluminum Jacketing: this is the most commonly used metal jacketing, preferred for its relatively low density which combines with excellent formability and a high resistance to corrosion. It can be embossed or corrugated to add strength as well as aesthetic appeal; this property is however also its downside as it can hold surface contaminants that can start the corrosive process. The metal also has a low melting point and so, is not suitable where fire is a risk. Stainless Steel Metal Jacketing: higher density than aluminium means stainless steel is tougher, offering strong resistance to mechanical abuse and also delivering exceptional corrosion resistance. A much-higher melting point makes it safer in fire-risk situations than other jacketing materials. Aluzinc: a base of galvanised steel is coated with a triple layer of other metals, namely aluminium, zinc and silicon. Cheaper than stainless steel and so often seen as an attractive option, it has good mechanical properties and corrosion resistance yet is still not tough enough to stand fire risks. There are more options such as coated metal jacketing to imbue the system with extra properties, such as noise- or vibration-damping. The jacketing can be given a range of colour finishes to both add aesthetic value and play a practical role, for example by reflecting heat away. BS Stainless produce all the types of metal jacketing mentioned above and have our own, purpose-built machinery to create any type of coated jacketing; this machinery is unique to our company and means that we can provide a complete service from start to finish, the only company in the UK to do so.